Dome A or Dome Argus (80°22′S 77°21′E﻿ / ﻿80.367°S 77.35°E﻿ / -80.367; 77.35Coordinates: 80°22′S 77°21′E﻿ / ﻿80.367°S 77.35°E﻿ / -80.367; 77.35) is an Antarctican plateau located 1200 kilometres inland. It is thought to be one of the coldest naturally occurring places on Earth, with temperatures believed to get close to −90 °C (−130 °F). 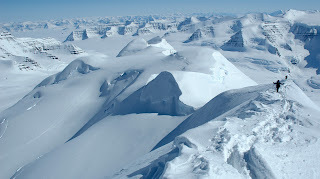 It is the highest ice feature in Antarctica, comprising a dome or eminence of 4,093 meters elevation above sea level. It is located in the Australian Antarctic Territory, near the center of East Antarctica, and approximately midway between the head of Lambert Glacier and the South Pole. As a signatory to the Antarctic Treaty, Australia does not exercise sovereignty over Dome A.
Dome Argus is the summit of the massive East Antarctic Ice Sheet, and is not really a mountain in the conventional sense of the word (though it should be pointed out that there is no international consensus on the exact definition of a mountain). 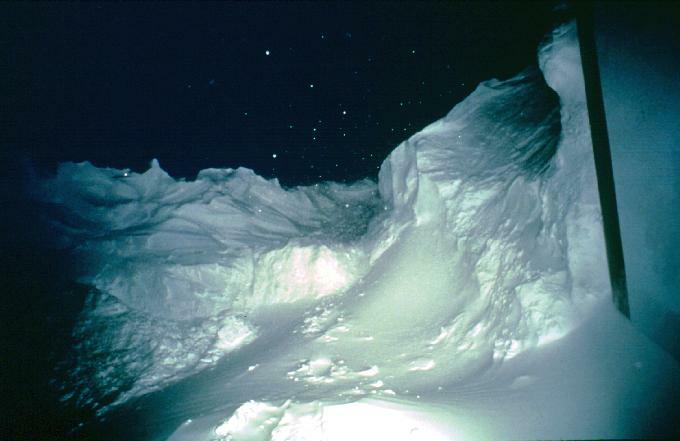 However, the East Antarctic Ice Cap is itself considered to be part of the East Antarctica Ranges, and therefore Dome Argus is considered to be the highest point in the East Antarctica Ranges. Dome A is a plain and the elevation visually is not noticeable. Below Dome A underneath at least 2400 meters thickness of ice sheet is the Gamburtsev Mountain Range. The name "Dome Argus" was given by the Scott Polar Research Institute from Greek mythology; Argus built the ship in which Jason and the Argonauts traveled. This site is one of the driest locations on Earth and receives 1 – 3 cm of snow per year. Due to this, as well as calm weather, this site is an excellent location to obtain ice core samples for the research of climates in the past. Temperatures at Dome A fall below -80°C almost every winter, while in summer it rarely exceeds -10°C. Details of the morphology of this feature were determined by the SPRI-NSF-TUD airborne radio echo sounding program between the years 1967 and 1979. 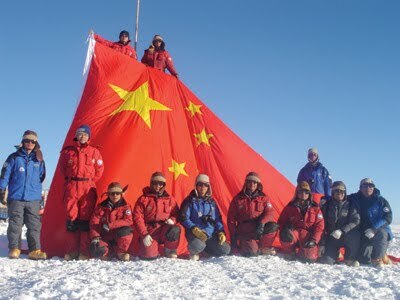 In January 2005 a team from the Chinese National Antarctic Research Expeditions (CHINARE) traversed 1228 km from Zhongshan Station to Dome A and located the highest point of the ice sheet (4093 m above sea level) by GPS survey at 80°22’S 77°21’E on Jan 18. This point is near one end of an elongate ridge (about 60 km long and 10 km wide) which is a major ice divide and has an elevation difference along its length of only a few metres. An automatic weather station (AWS) was deployed at Dome A, and a second station was installed approximately half way between the summit and the coast at a site called Eagle (76°25'S, 77°01'E, 2830 m above sea level). These AWS are operated as part of an ongoing collaboration between China and Australia which also includes a third AWS (LGB69) at 70°50'S, 77°04'E, 1854 m above sea level which has operated since January 2002. Station at Dome A is powered by solar cells and diesel fuel and requires yearly service and refuelling. The coldest air temperature recorded at Dome A since January 2005 thus far (28 September 2010) was in July 2005: -82.5°C. The lowest air temperature (-89.2°C) at the surface of the earth was recorded in July 1983 at Vostok, which is almost 600 m lower in elevation than Dome A. Analysis of satellite data and atmospheric models shows that the Ridge A which is located 144 km south-east from Dome A is potentially even better location to look for lowest temperatures on Earth. The Polar Research Institute of China deployed a robotic observatory called PLATO (PLATeau Observatory) on the dome in January 2008. PLATO was designed and built by the University of New South Wales, Sydney, Australia to provide a platform from which astronomical observations and site-testing could be conducted. Various institutions from Australia, US, China and the UK provided instruments that were deployed with PLATO, these instruments included CSTAR, Gattini, PreHEAT, Snodar, Nigel and the PLATO web cameras. The Institute of Remote Sensing Applications, Chinese Academy of Sciences established a wireless network technology based observation system called DomeA-WSN on the dome in January 2008. 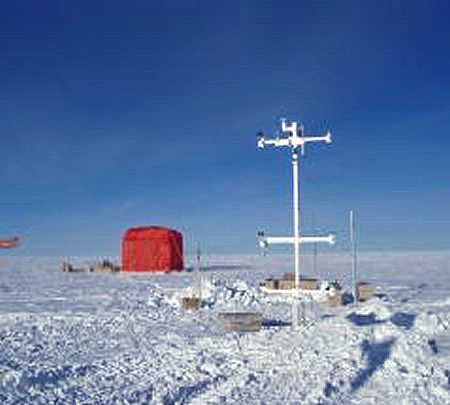 The Kunlun Station, China's third Station in Antarctica, was set up at the dome on January 27, 2009. Thus far station is suitable as summer station but it is planned to develop it further and build an airfield next to it to ease servicing of Antarctic Kunlun Station, as it is not reachable by helicopters.